The Puri collection includes pendants, wall sconces, and table & floor lamps in a wide range of sizes. 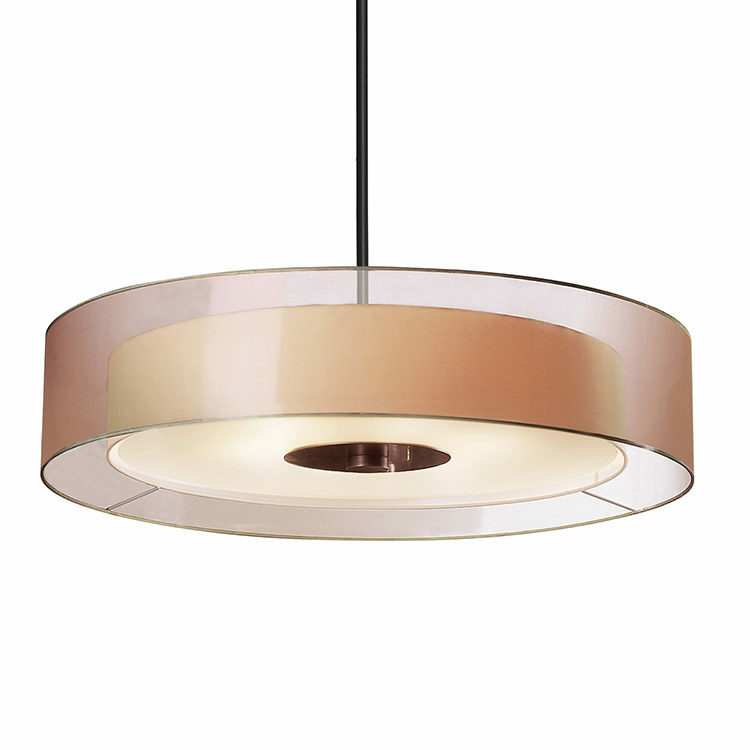 One of our favorites is this 30″diameter drum pendant. Featuring a wispy organza shade surrounding an inner shade of white linen, this extra large pendant diffuses light from 6 up to 60-watt standard base bulbs, not included (you can use incandescent or a CFL or LED equivalent).